Brahms, Johannes, 1833-1897. Ungarische Tänze. Nr. 1-10 . Hungarian dances, no. 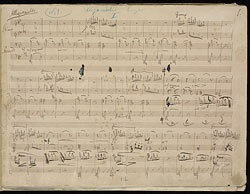 1-10, for piano four-hands, WoO 1 : autograph manuscript, 1868.